One of the advantages of working in Trinidad is that somehow it always manages to feel ahead of the game when it comes to the adoption of new communications. It thereby gives us some ideas about where these will go but also how far this is likely to be a universal shift or something more specific to this island. 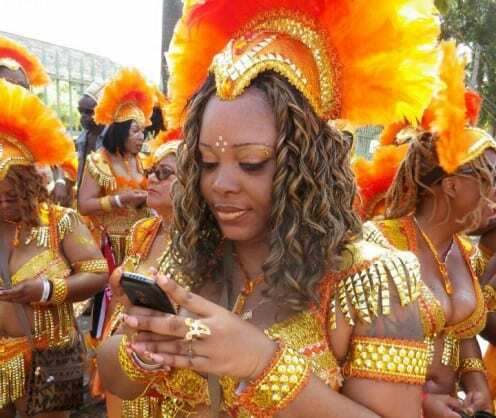 My recent research trip to Trinidad seemed to be defined as the ‘What’s App’ trip. When I left England I had the feeling that WhatsApp was something that was about to happen, people were just hearing about it and wondering if it could be useful or important. Within a week in Trinidad it was obvious that there was a very different situation here. Most young people seemed to have WhatsApp, assumed that most others would have it, and treated it a though it had always been here as an established presence within polymedia. There is every likelihood that this will become an established global phenomenon, but as so often happens, I found myself entranced by the very specific ways it fitted neatly into a quite specific Trinidadian niche. But this is worth highlighting since this tension between comparative generalisation and local specificity will be at the heart of our next five years venture with our eight simultaneous and comparative ethnographies. The local particularities pertains to the established position of Blackberry. BlackBerry Messenger (BBM) – the platform’s internal messaging system has dominated Trinidadian communications for quite some years. The forthcoming book on Webcam (written with Jolynna Sinanan) includes an analysis of BBM and why it works so well in Trinidad. Amongst the other key points is that with BBM you know a) if the person has read your message b) if they are on their phones, i.e. could have picked up the message and yet for some reason didn’t, or could have replied and didn’t. This means that you can infer something immediately about the nature of your relationship which has not been the case with, for example, with Facebook (until very recently). There are also opportunities for group discussion, and the nature of the quick-fire response suits certain kinds of banter and ‘sexting’. For most Trinidadians, What App is simply an extension of BBM into non-Blackberry phones. Those with Blackberry assume their first choice of communication is BBM and then if their friend has another smartphone What App and sometimes Facebook messaging is mentioned as a third choice. BBM/Whats App have certain properties of social networking. They allow for constant status updates and various levels of groups or options to message all of one’s BBM contacts. But there is a further dimension. In my writing about Trinidad I discuss a tension between egalitarian transience which seems to fit BBM, and status-conscious transcendence. Trinidadians who can afford it are very interested in the status of iPhones and Samsung Galaxy. So a key attraction of WhatApp is that it resolves this tension. They can have a higher status phone while retaining the sociality represented by BBM and WhatsApp. Whether this is all about the special nature of sociality in Trinidad or a trait that merely reflects the speed of Trinidadian adoption is something that will have to wait until we see what is happening in all the other countries. The difference that this project makes is usually one just ends with that sort of question. In our case we will get an answer.